"AGR's construction and engineering team deliver complex projects using industry best practice to ensure project delivery meets the highest possible standards." Following on from the consenting stage, our in-house technical teams review design and technology selection to ensure that each project is optimized for performance, cost and delivery. Our experience delivering projects means that we have built up key long-term relationships with technology partners that help us to deliver the right energy solution for each project. As EPC we negotiate the design and construction packages and deliver them under an EPC (Engineering, Procurement and Construction) contract – providing a single point of contact through the delivery phase of a project. In the wind sector, we have delivered our projects under turnkey EPC contracts, managing the three specialist subcontracts, i.e. Civils, Turbine and Grid Connection Works. 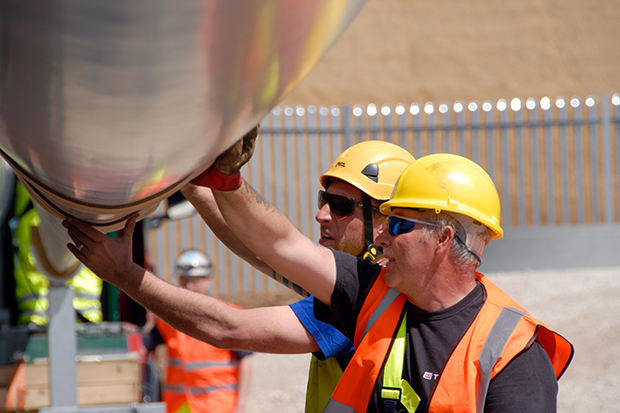 To date we have successfully delivered over 20 wind projects in the UK. For solar projects we utilize a vertically integrated supply chain, with a partner carrying out the largest package of supply and installation, with AGR coordinating the delivery, managing the interfaces and the balance of plant, civil works and the grid connection. Using this approach we have delivered over 130 MW of utility scale projects in the UK to date.